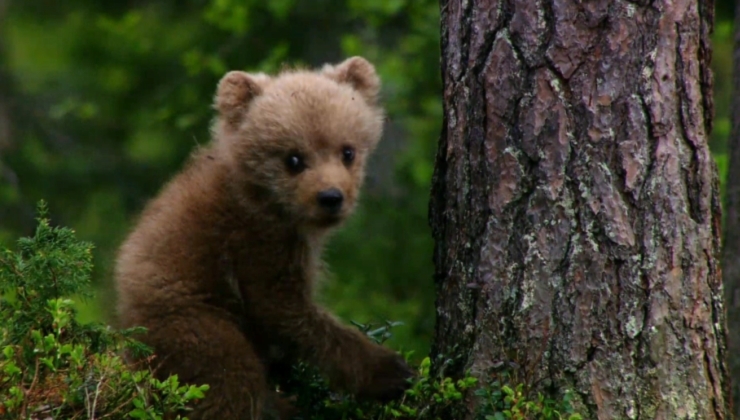 Incredibly adorable brown bear cubs learn to climb trees like champions as mother bear shows them how it’s done. Contrary to what many people think, it’s not only black bears that can climb trees. Brown bears and grizzly bears can scramble up a tree too. Brown Bears are found in many parts of North America and Eurasia, where the bears inhabit wooded and mountainous areas. The brown bear is also the national animal for a number of states in North America, Europe and Asia. Throwback Thursday to when these baby brown bears learned how to climb a tree. Responses to "Adorable Brown Bear Cubs Learn to Climb Trees from Mama "